Win A Trip For Four To NYC Or San Diego From Atlantic Luggage!!! 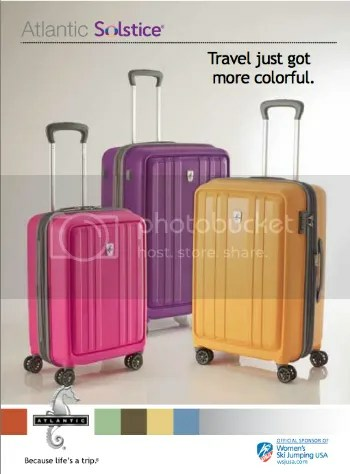 This post brought to you by Atlantic Luggage. The content and opinions expressed below are that of Orlando Fun and Food. Orlando is the most popular tourist destination in the world, bringing in over 56 million travelers each and every year! Each week, over 1 million visitors fly or drive to this magical city to experience all that Orlando has to offer. One of the biggest struggles that families face traveling is packing for their vacation! Thanks to our friends over at Atlantic Luggage, they are going to try to take some of the stress away from your next family vacation! From now until November 15th, you can enter to win a vacation for 4 to either New York City or San Diego, California for free!!! If you want to enter now, here is the link to enter to win this sweet family vacation! Here is the scoop on this sweepstakes! $300.00 allowance to spend on your choice of a Delta Vacations Tour or Activity package! Here are some details to remember when entering this sweepstakes! The sweepstakes runs until November 15th, 2014 and the winner will be chosen by the 25th of November! This is an amazing opportunity to take a sweet vacation and get some great new luggage from Atlantic! The Atlantic brand is great for family travel because it’s lightweight, versitle, and there is a huge variety to choose from! Having a family of three, I know how stressful packing and traveling can be! 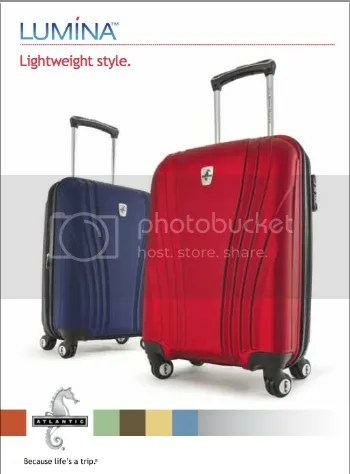 Atlantic Luggage helps take out some of that stress with their amazing line of luggage! As far as the sweepstakes, make sure you enter now for the chance to win this amazing vacation! 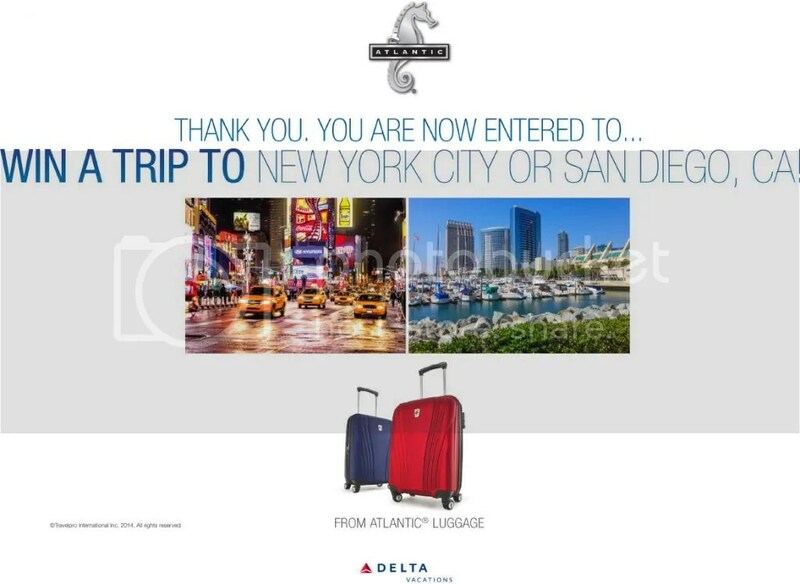 I entered myself because who doesnt love a free trip as well as some new luggage! Make sure you click here to enter to win a family trip. Did you enter for this trip? If you win, I know 3 other people who would love to go with you! If you just have one spot open, I can always be your photographer too! Comment below and let us know what you would do on this amazing vacation!